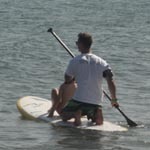 Stand-up Paddle Boarding, also known as SUP and although it is a relatively new sport, it has been used as a form of transport since the Polynesian times. 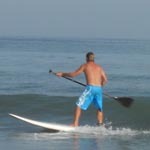 A slightly larger than normal surfboard is used, so that you can stand on it and paddle with a long oar. This course is aimed at people who would like to learn how to paddle board. Our well-trained instructors will teach you all the different aspects of this sport.